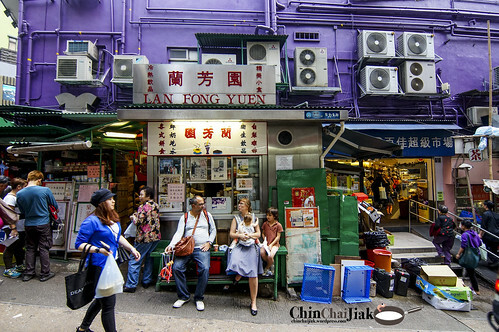 Everyone has definitely heard of two famous beverages that are widely available in most Hong Kong Cafe – Yuan Yang (鸳鸯) and Stocking Milk Tea. 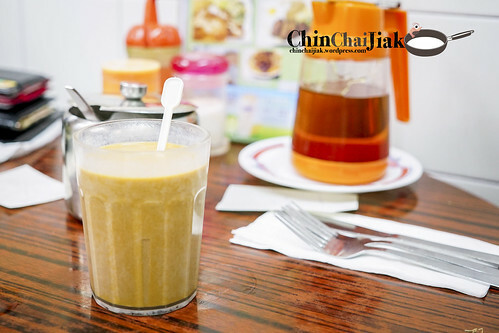 It was said that these beverages originated from Lan Fong Yuen (Yuan Yang is a kind of hot beverage where it’s made up of coffee, tea, carnation milk and sugar) and they are the only stall that is selling these drinks in the olden days. 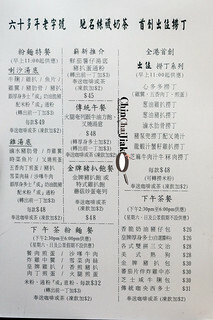 Lan Fong Yuen started their operation back in 1952 as a Dai Pai Dong. 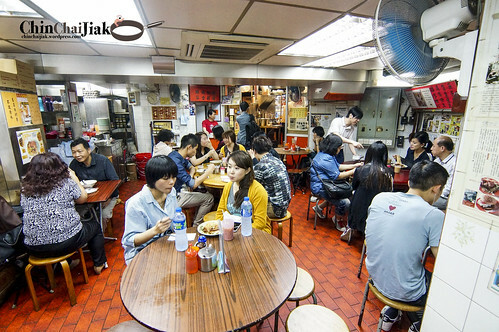 Although they had already moved their cafe operation into a building, the iconic red and green stall is still preserved just outside the cafe. 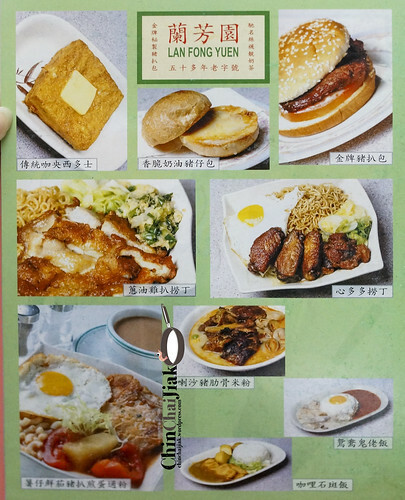 Food wise, they are very well known for three items – their award winning pork chop bun, french toast and chicken chop noodle. I asked for a recommendation and the staff proudly recommended their french toast as a must-try and i can see why. 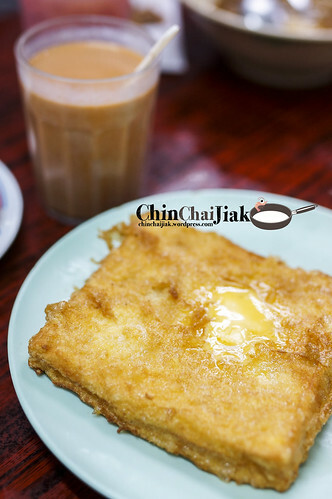 Among the french toast that i had in Hong Kong, Lan Fong Yuen is definitely the best. Their french toast is coated with a generous layer of not-overly-sweet egg and the toast is bursting with the fragrance of butter. Unlike some french toast, this is not overly greasy. 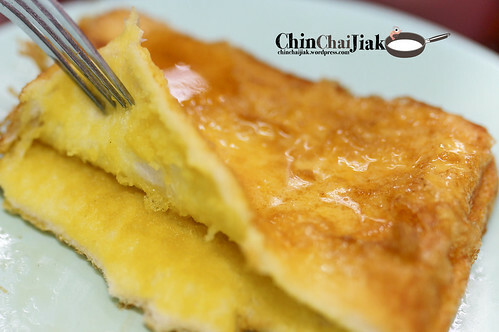 There is a thin layer of coconut custard (kaya) sandwiched between the toast that adds on a coconut fragrance that does not overpower the taste 0f the egg toast. If you are into really sweet stuff, try drizzling the toast with the honey syrup. I will definitely be back for more of their Hong Kong style french toast. 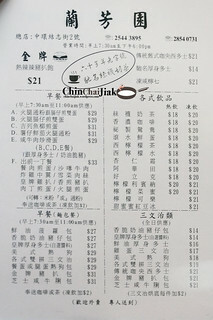 Within the cafe, you can see newspaper cuttings all over the shop and majority comes with a photo of their pork chop bun. It is pretty clear that which is the most popular item in the cafe. I really wish that I can say that it’s the best pork chop bun that i had, but it’s really not. Perhaps it has something to do with expectation vs reality. 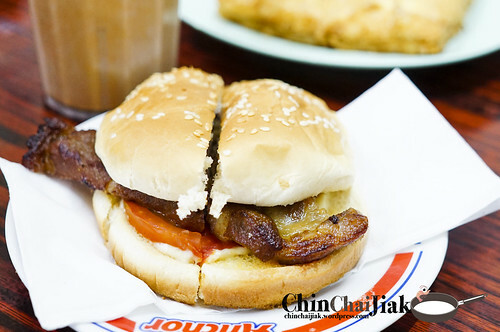 The pork chop bun is nice, but i thought it doesn’t taste much different from those selling in a random Cha Can Teng that i had visited. In fact, the French toast left a much greater impression than their pork chop bun. 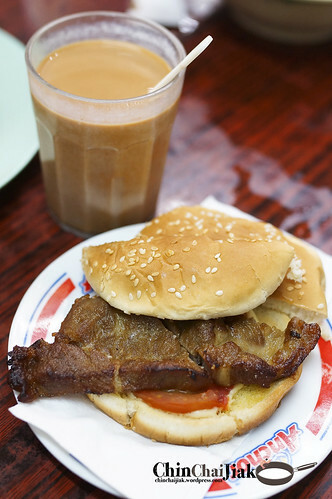 I prefer the pork chop bun of Sing Heung Yuen anytime and it is only a couple of minutes walk away. Their famous stocking milk tea is something I enjoy. The tea is really rich and smooth and I thought it’s outstanding for the generous proportion of milk vs tea. Every sip of the tea is accompanied by a rush of milk fragrance. At first sip, honestly, i thought that it taste similar to our Teh-C Kosong of Song Fa Bak Kut Teh in Singapore (i used to frequent Song Fa everyday for breakfast). 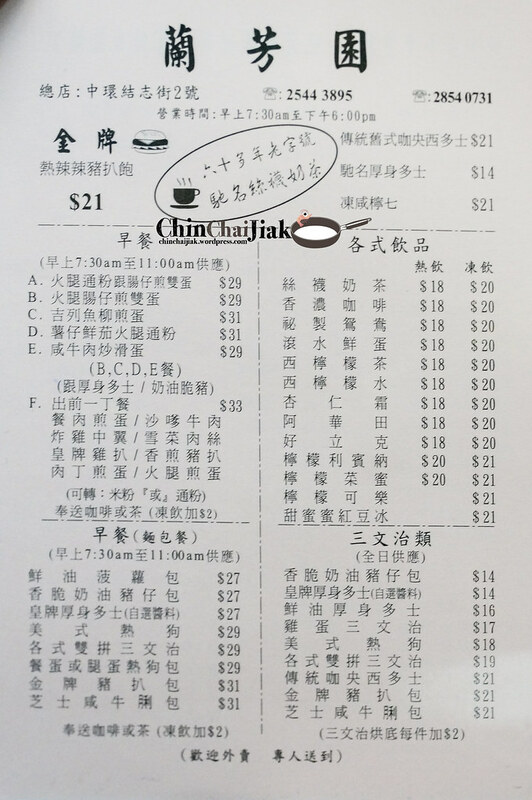 However, I must explain that it does not mean that Lan Fong Yuen’s milk tea is just so-so. This means that our Teh-C Kosong’s standard is not bad too. Out of the three items that I ordered, surprisingly, it’s the French toast that stood out. I’m a little disappointed by their pork chop bun cus it’s highly raved about online but in reality, it didn’t exactly live up to expectation. It’s definitely not awful, just not fantastic but i think it’s probably worth the try just for it’s reputation. Never try never know right? 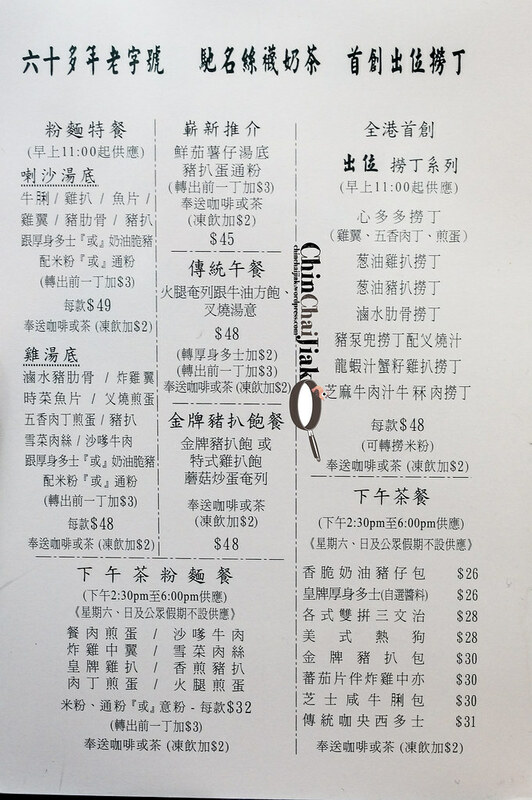 If I have enough stomach space, I would have ordered their Chicken Steak Instant Noodles with Green Onion Sauce (蔥油雞扒撈丁) and this will be on my to-eat list for my next visit. 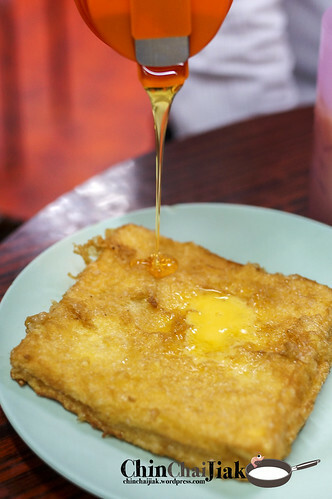 I believe this will not be my last visit to Lan Fong Yuen because I just found my favourite french toast in Hong Kong. 4. Turn left into D’Aguilar Road. Walk along and look for Wellington Street on the right. This should be an uphill area. 6. Turn left into Lyndhurst Terrace and keep a lookout for Gage Street. 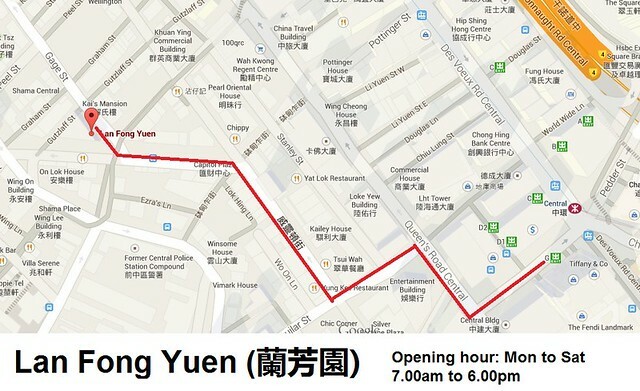 You will see Lan Fong Yuen on the left side of the road.